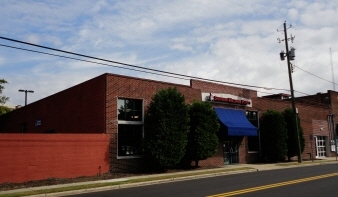 Sale includes one building with 2 separate office spaces. Each office space has 4000 square foot (totalling 8000 sqft) and exceptionally updated with gorgeous interiors. Stable long term tenant & one lease vacancy opening early 2014. Move in one and collect rent on the other. Or lease both and build on vacant property attached with sale. Very valuable opportunity. Huge commercial potential. Was 2.2m, price reduced. Contact Jennifer Huntley for a private tour 912.398.0535. Exterior Features Private enclosed parking with covered & open spaces- fits at least 35 vehicles. Off street parking also available. Vacant land comes with sale of building and developed parking area. Develop land, build or hold for investment.